How do EMFS affect our body? Most of us are quite familiar with some of the electrical activities in the body. Since we are familiar with hospital use of the electrocardiogram (ECG) to measure heart activity, and an electroencephalogram (EEG) to measure brain activity. Also, we recognize that muscle and nerve cell action is triggered by an electrical impulse. However, did you know that the whole body is "abuzz" with electrical activity? 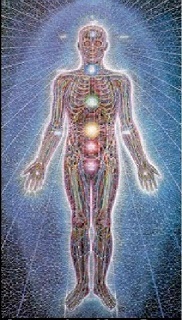 It has been long established that the body's cells are triggered into action by the presence of certain chemicals (e.g. neurotransmitters), but we are now aware that the cell can also convert energetic (i.e. electromagnetic) signals from its environment into cellular action. The body's cells actually communicate using WEAK, frequency-specific electromagnetic fields (EMFs), produced by low-level electric currents within the body.Specific energy frequencies regulate certain biological functions. Each cell vibrates and emits its own electromagnetic field, and can also resonate with natural, bioavailable EMF energy sources to maintain its ideal cellular vibration. The cell membrane is effectively a "battery", which is used to power movement of ingredients into the cell and waste products out of the cell. This "battery" is "charged" by beneficial incoming energy sources, and conversely can be "discharged" by energies at frequencies not compatible with the body (e.g. the household electrical frequencies; cell phone radiation). ✔ Health-beneficial energy frequencies. Can also be purposefully introduced into the body using various therapies. These would increase the cell membrane "battery" level, and therefore increase the cell's cellular energy output.